Killer Characters: Is There Ever a Bad Time in Key West? 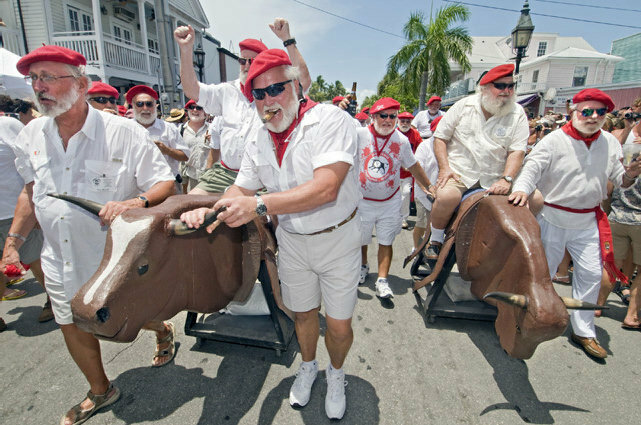 Is There Ever a Bad Time in Key West? Anyway, Lucy says she’s trying to come up for more ideas for my series, just in case the publisher wants them. 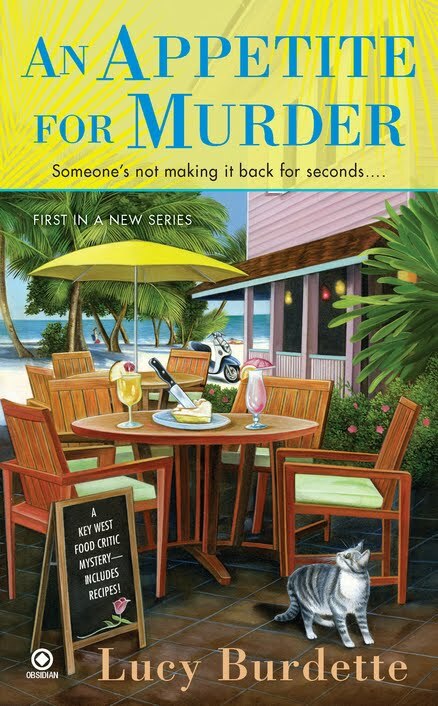 And she’s not sure summer time is a good time to set a book in Key West. Obviously, she’s never been to the Ernest Hemingway look-alike contest sponsored by Sloppy Joe’s bar. Here’s a story about a fellow who actually entered. Just imagine if the killer is a white guy with white hair and beard and the murder happens when all these dudes are in town? How would you ever find him? 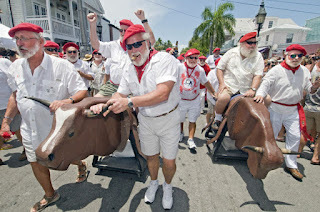 These fake Hemingways actually run through the streets of Key West with phony bovines. If that's not enough to sell you, here’s a crazy story about a lawyer who wanted to postpone a murder trial so he could participate in the Hemingway contest. Believe me, there’s plenty of material for another book! Besides all that, it's hurricane season...just imagine the complications... I'm off to write things up. Sometimes, to be honest, I think if Lucy would spend a little less time on Pinterest, and Facebook, and Twitter, and more time listening to me, Hayley Snow, the ideas would come a little faster! Which reminds me, she's also worried that we don't have enough fans on our Facebook page. So if you get a chance to pop over and like us, we could get back to work. 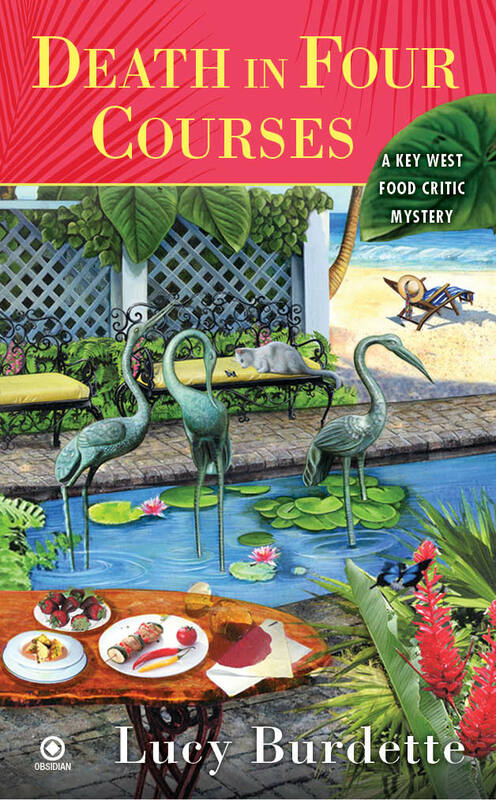 Lucy Burdette is the author of the Key West food critic mysteries, including AN APPETITE FOR MURDER. DEATH IN FOUR COURSES will be out in September and can be pre-ordered now! I can't tell if all of those Ernests are dancing or telling fish stories. I look forward to hearing about the lookalike contest from you! 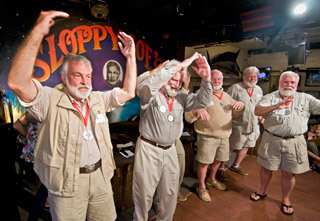 Love the idea of a Hemingway look-alike contest! Write on! We totally have the same problem, Hayley... my author *claims* to be stressed out writing another mystery series, but there she is, on Facebook, piddling around when she ought to be writing!! Really! I can just picture the phony Ernest running around Key West committing murder. Keep those ideas coming ladies!